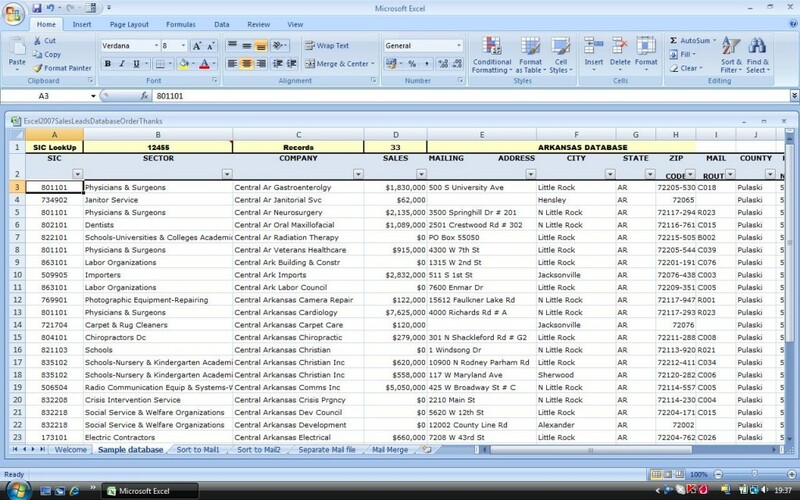 Sales Leads for Excel will give you access to over 10 million sales contacts and address in the United States. 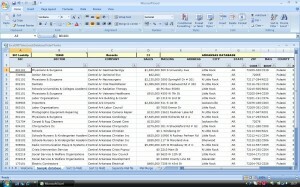 Using the power of Excel 2007’s million record capacity, this software provides you a huge store of potential sales leads! Telephone numbers are includes for quick access and contact with your new sales leads! Contacts include first and last names, job titles, company names, street address, city, county, state, zip codes, and phone numbers. Please note that despite the advisory below you WILL NOT be able to download the Sales Leads 2008 files immediately after ordering. Fifty one files are just too large to download, the largest (California.xlsx) is 650 MB and several others are nearly as large. The download file provides an introductory tour ONLY plus guidance notes how to prepare a sales leads list to link to Word 2007 Mail Merge. We will ship the Sales Leads 2008 CD to you as soon as we receive your order confirmation. You do not need to select CD shipping in the order form. Free shipping is included.